Leaf through the archives of The Inlander and the Spokesman-Review from the past decade and the phrase “Center for Justice” will pop up again and again and again. The Center was the force behind the Otto Zehm case and lawsuits against field burning. Its lawyers spoke out in defense of the rights of the homeless, street musicians and panhandlers. They’ve been involved in the push for the police ombudsman, in fights for more governmental transparency and in lawsuits to protect the health of the Spokane River. But in 2009, the recession walloped Center for Justice’s funding streams. With a drastically reduced budget, the Center’s chief catalyst and most-quoted spokesman, Breean Beggs, left for private practice. Now that the dust has settled, we sat down with the Center’s founder and biggest funder, Jim Sheehan. 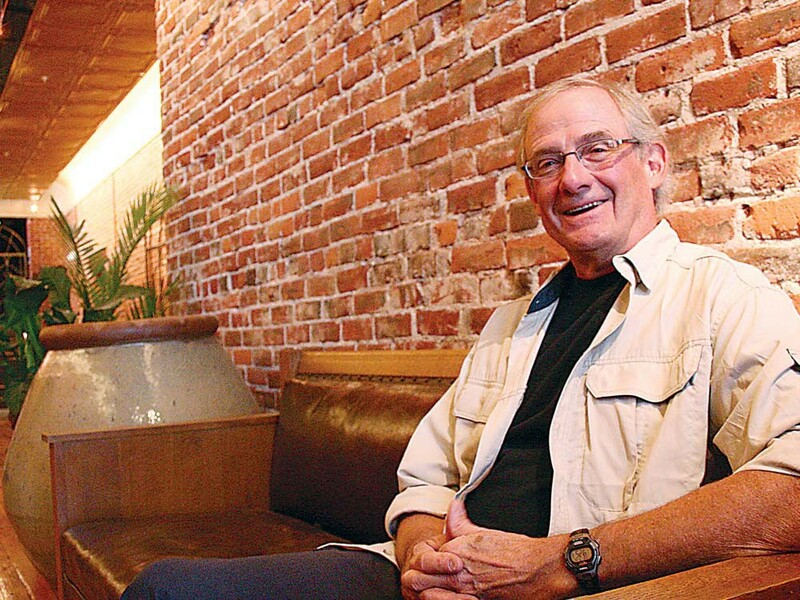 INLANDER: I’ve heard people talk about Center for Justice moving into its third iteration. What were the first two iterations? SHEEHAN: When we began, we dealt with a lot of what I term poverty-law-type issues: Family law issues, landlord-tenant issues. David Blair-Loy did a lot of civil rights, public-records requests. Karen Lindholdt and I sued the Department of Ecology over field burning. Then, in about 2004, when Breaan [Beggs] became executive director, our focus moved to civil rights, public-disclosure areas. At the same time, Rich Eichstaedt came on and started our river program. We became way more visible — a lot of that came from the fact that we were in the Otto Zehm case. Why is this third iteration coming about? The community absolutely needs it. There’s got to be an organization willing to watch government and corporate interests. It will be in terms of new personalities. Losing Breean was a huge loss. The people we have now will be just as good, but in a different way. We’re going to wait and see how that will unfold. We’ve just actually got ourselves fully staffed within the past couple weeks. We’ve hired two new lawyers. We’ve got an agreement with Jeffrey Finer [to help with] leadership and mentoring. Shawna Sampson is our new development director. We’ve got a new paralegal. All these people have just come in within the past six weeks or so. After Breean left, we didn’t take any civil rights-type cases. Are you going to be taking civil rights cases now? I think so. I also want to really include other lawyers in the bar association. I think we will co-counsel with people. We already co-counsel with [Otto Zehm counsel] Jeffrey Finer on some cases and Breean [Beggs] on some cases, and I’d like to expand that. Were there any specific cases you wanted to take but weren’t able to? Let me put it this way: There’s a compelling case that comes in virtually every day. Even now, we can’t get even close to taking every one. Maybe it’s a landlord-tenant issue or some sort of benefits issue where it’s really egregious. What are the areas that the new version of the Center for Justice is excited to pursue? We’ve got some people interested in land use, which is pretty pivotal. Development can sometimes run amok. We’ve got a couple of people who really involved in [poverty law]. We’re looking at some areas in [human] trafficking. I don’t know anything about it, but one of our lawyers is interested. My understanding is that the Pacific Northwest is a major player in [human trafficking]. That’s an area where I don’t think there’s very much happening within our legal community. New things will come up as new cases come in. Are there any new avenues of funding you’re looking for? Yes. When you came in here, you saw everyone standing around signing a card being sent out to ask for money for the end of the year. We’re going to launch a campaign to ask the community support us. And we’ll be going to foundations to ask for funding. It’s hard to get funding from some foundations, because we can sometimes be controversial. It will be more intense and more focused. We’re going to try to present ourselves in a more public way, to regular citizens, so they know what we’re doing. When people hear it, they say, “Whoa, you’re doing that? That’s really cool.” I’d like a lot of wealthy donors and a lot of small donors. You have been a major funder of Center for Justice. How has your contribution changed over the years? We need the support of the community in a bigger way than what my contributions are. [During the recession,] we were reduced probably pretty close to half [what we had previously]. We built up to a point that was probably pretty enthusiastic. Too enthusiastic. Our budget has been reduced, but my contribution has been pretty similar [in terms of percentage]. How would you summarize this third iteration?